(Sydney) will be held on 4 May at our new home, Darlinghurst's Eternity Theatre. The program - a single strand of editorially-curated content - has already been unveiled, with a flood of exciting announcements coming in the next few weeks. Tickets are still available at early-bird rate of $610.00. Media + Marketing Summit thanks our presenting partner, Carat, and sponsors Tonic Health Media, ThinkTV and REA, for their continued support. Media + Marketing Summit Melbourne will take place on 25 July at the Arts Center for a second time, following a hugely successful inaugural launch last year. The program for Melbourne will be unveiled on March 12. Developing the program for a conference has associated risks, not least the fear you are subjecting your audience to a day-long ramble of dull University lectures. In a move to avoid this, AdNews is moulding the Media + Marketing Summits into events with content far more fresh, unexpected, immersive and interactive, and in order to do that, we have nurtured relationships with some of the industry’s best and brightest to co-create new formats. The first session of this type – “You are the creative agency”, where we will turn the audience into a creative agency - will be delivered with Tribe’s founder Jules Lund, a close partner of AdNews who appeared, to much applause, at last year’s Summits. 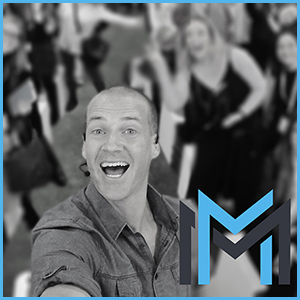 In his inimitable and entertaining style, Jules will delve into a vision where consumers will be able to supply the creative for multi-channel brand campaigns by simply pulling their devices from their pockets – and with the help of our audience, he will show how this can happen. He will also reveal why this is set to transform the advertising industry in less than a decade, partly driven by the ascension of millennials to the c-suite. This year's Media + Marketing Summit (Sydney) will be held on 4 May at our new home, Darlinghurst's Eternity Theatre. The program - a single strand of editorially-curated content - has already been unveiled, with a flood of exciting announcements coming in the next few weeks. Tickets are still available at early-bird rate of $610.00.